The capital city of Hungary is just as multicoloured as the country itself: historical sights and postmodern buildings look georgeous in the same cityscape. Whether you're an architecture student or just an art lover or curious tourist, we recommend you to visit the most famous buildings in the city. These Budapest attractions are worth to chech out! Parliament is among the top ten Budapest attractions, but we're not surprised: tthis wonder is built in the Gothic and Renaissance Revival style at the same time. It's right on the bank of the Danube, and has magical lights during the night. This one is the second biggest parliament-building in Europe, and the third biggest one in the whole world! The Hungarian Parliament-building is also part of the UNESCO World Heritage. You'll find two other excellent Budapest attractions in the vicinity of the Parliament: namely, the Hungarian State Opera House and the St. Stephen's Basilica. 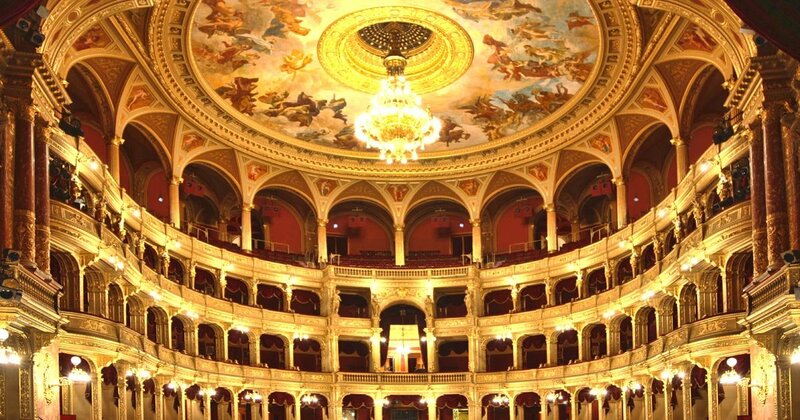 The Opera House's construction began under the rule of Emperor Franz Joseph of Austria-Hungary, and was finished in 1884. Today as well, it gives home to opera and ballet performances as well as social events. The St. Stephen's Basilica is just within a stone's throw from the Opera House. 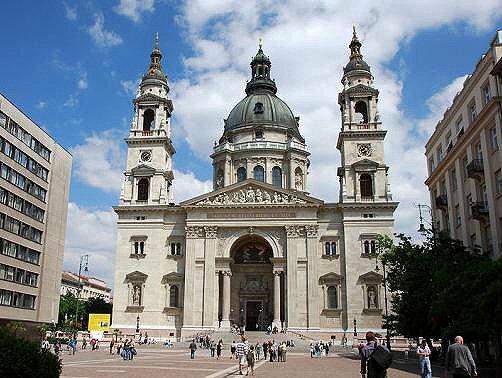 This Roman Catholic Basilica is the king of top-class Budapest attractions: built in a Neo-Classical style, to this moment, it's the third largest church building in Hungary. The St. Stephen's Basilica is also one of the two tallest buildings in Budapest – the interesting fact is, that both the Parliament, both a St. Stephen's Basilica reach the maximum possible height in Budapest, since current regulations limit this in 96 metres. Beside these wonderful historical sights, the Hungarian capital has a bunch of modern buildings to represent the lively and colourful architectural and design scene that's present here nowadays. Just opposite the Palace of Arts, a quite fresh one among Budapest attractions, you'll see the National Theatre's new building. 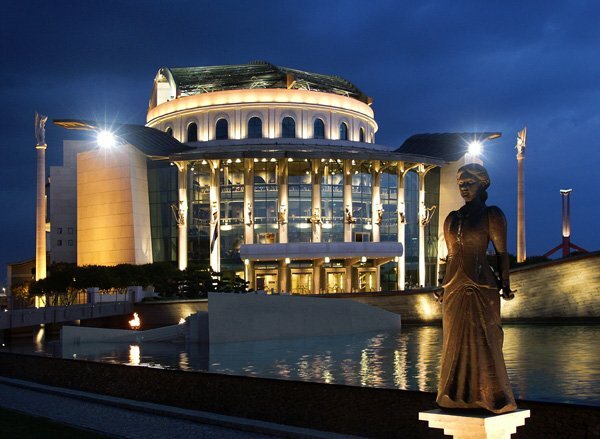 Constructed in an unbelievably short period of time (15 months), this building gives the new home to the National Theatre since 2002. Because of it's architecture, it gives you the impression of a ship on the Danube. The environment also strengthens this optical illusion – the neat and lovely park with several statues and the monument of the old theater building definitely worth your time. You just cannot ignore the Whale: yes, this is the building which has a very matching name to it's appearance. You can easily spot it out on the bank of the Danube, since it's shape is like a whale – thus the name („Bálna”, in Hungarian). 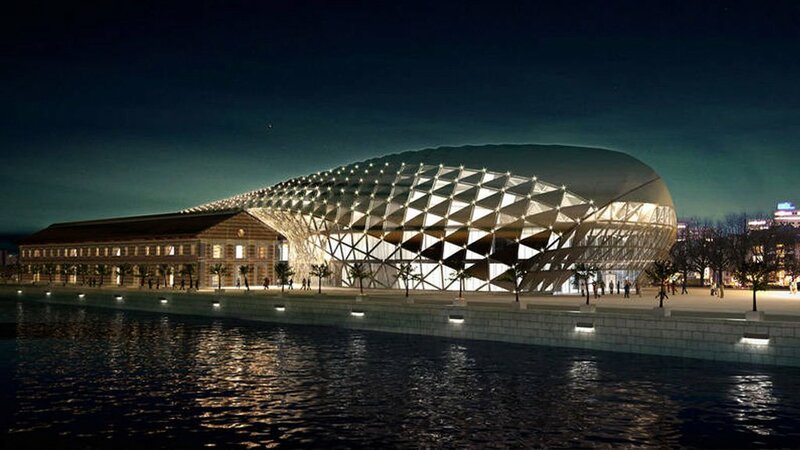 Since it's opening in 2013, the Whale houses a shopping centre with cafés, restaurants and exhibition space as well. Small festivities and parties also take place in this family-friendly space. 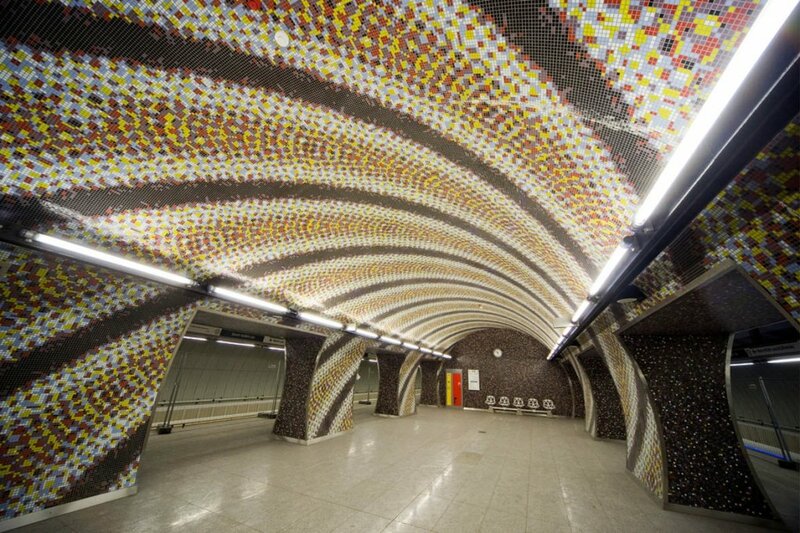 Welcome the youngest Budapest attractions, the stations of the brand new metro line Nr. 4! The metro line connecting South Buda and Keleti Railway Station finally opened early in 2014, after a 8-year-long construction. Each station is designed in a unique style, so don't expect them to be similar, like they are on other metro line stations in Budapest. Our favourites are on the Móricz Zsigmond roundsquare, Fővám square and in Bikás park. During our 20 years of organizing trips to Budapest, the historical and modern buildings fascinated our guests equally. Now we're even more delighted to show them the newest Budapest attractions, for example the Whale and the National Theatre’s new building.